When I think of fall, I conjure up images of walking with family and friends through trees laced in majestic colour. I think of curling up with a hot beverage under a plaid blanket, reading a good book. And I remember fondly Thanksgiving dinners overflowing with the foods of the season. Often, I take the best images in my head to inspire design. 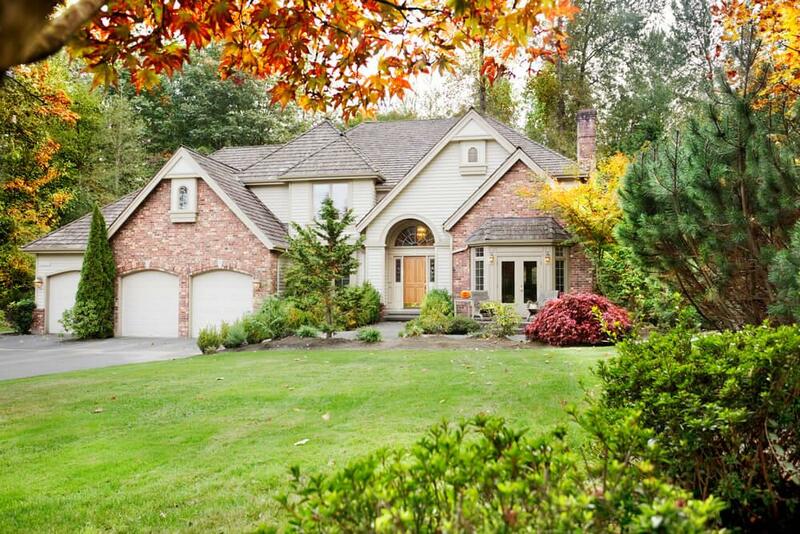 Let’s explore together some autumn inspiration and see how we can improve your home’s fall curb appeal. Once the colourful leaves have fallen, many landscapes are left desolate and bare. 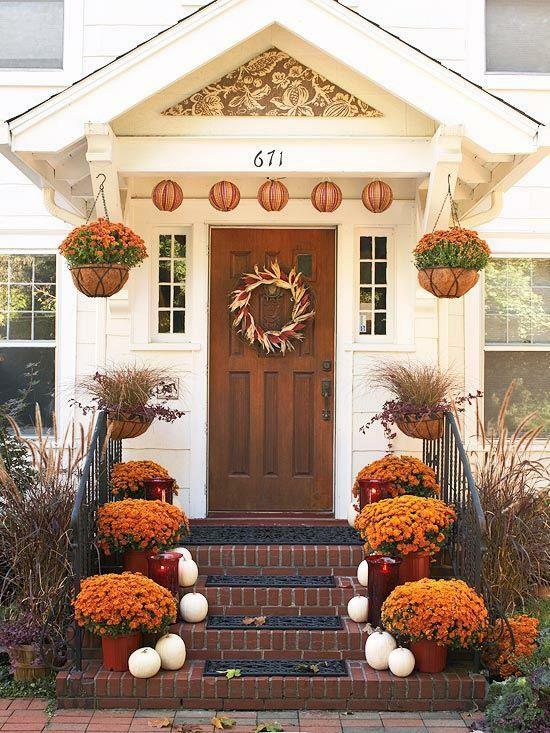 Keep the beauty of the season for your home’s exterior by displaying large planters of fall mums. These late-season blooms come in a variety of colours and are a hearty option. Mums continue to be an autumn favourite due to their longevity and impressive number of blooms per plant. Repeat and group large containers for a stunning landscape that can be achieved quickly, affordably and effortlessly. Want to tackle a larger project this fall? Cooler weather and the change of seasons can spark energy for a home project. As gardens and green lawns begin to fade, your home’s exterior paint will become more noticeable. This is an opportunity to splash on a fresh coat. With improved paint technology, homeowners can now paint their homes during lower temperatures. A new coat of paint can make a big impact on your home’s curb appeal. Don’t know what colour to paint? Use Pinterest for inspiration. 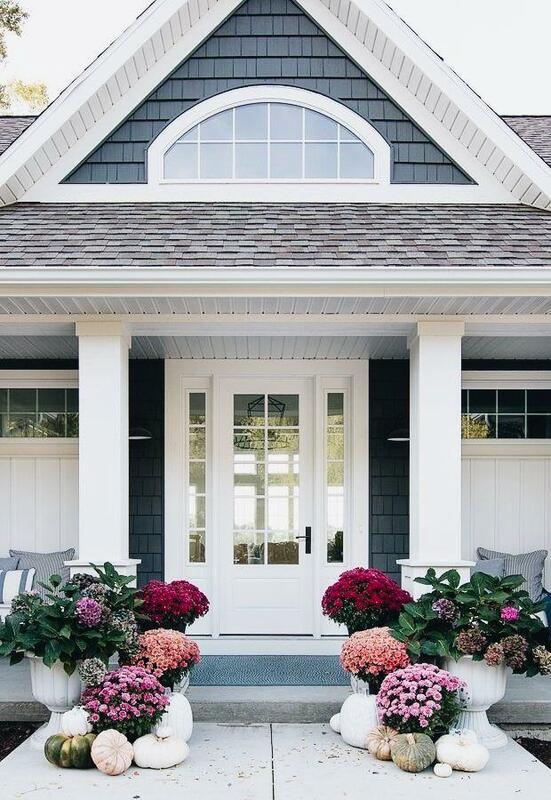 Notice how the fresh white trim in the pictured home makes the plants pop. I love the display of fall mums with their unexpected colour combination in purples, pinks and magenta. 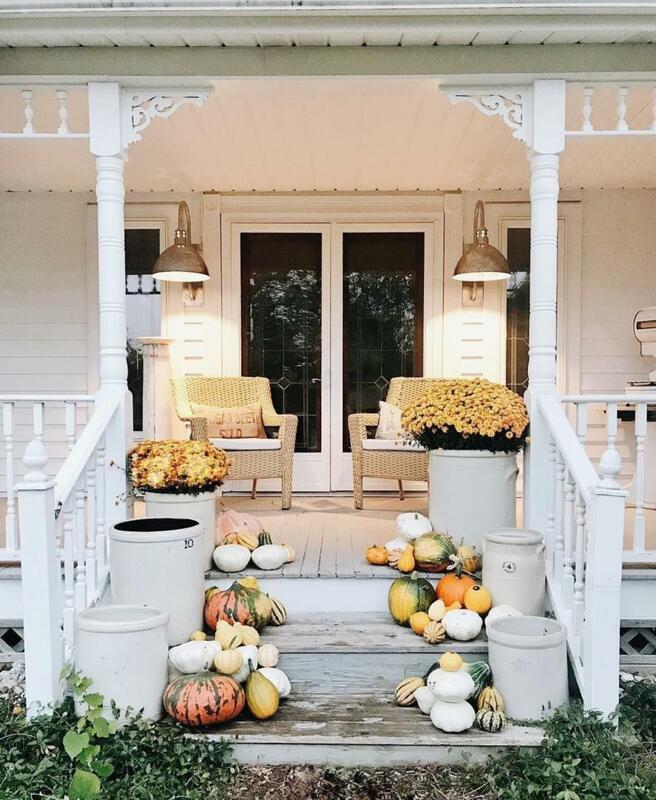 Take-a-look at your outdoor areas to see if you can accessorize and warm up your space with an autumn vibe. 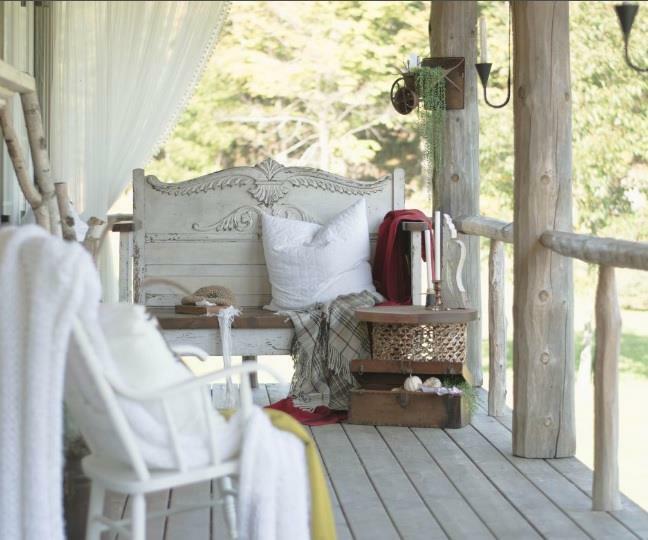 For example, add tartan wool blankets, some fire logs, pillows in a fall theme and lanterns. You can also use wicker baskets, a pair of rain boots and wooden crates filled with pine cones. Then get cozy in your warm setting and read a good book. Introduce additional light to your exteriors to enhance your fall curb appeal. Fall months mean shorter hours of sunshine and many cloudy days. Keep your home alive with ambient lighting to create an inviting atmosphere. Liven up your entry with a couple of new hanging sconces, brighten your driveway and walkways with post lighting, and showcase your home’s best architectural features with flood lights. Mix and match various lighting elements and layer the lighting in the design. Then watch your curb appeal shine! If you have small children, you will likely want to decorate your home for Halloween. Your children and all those in the neighbourhood will delight in seeing your imagination run wild. Even if you don’t have small children you can bring out your inner vampire incorporating a touch of Halloween into exterior landscape to create a tasteful tidbit of the season. You don’t have to go overboard with ghosts and cobwebs! Thanksgiving has passed, but the decor remains! 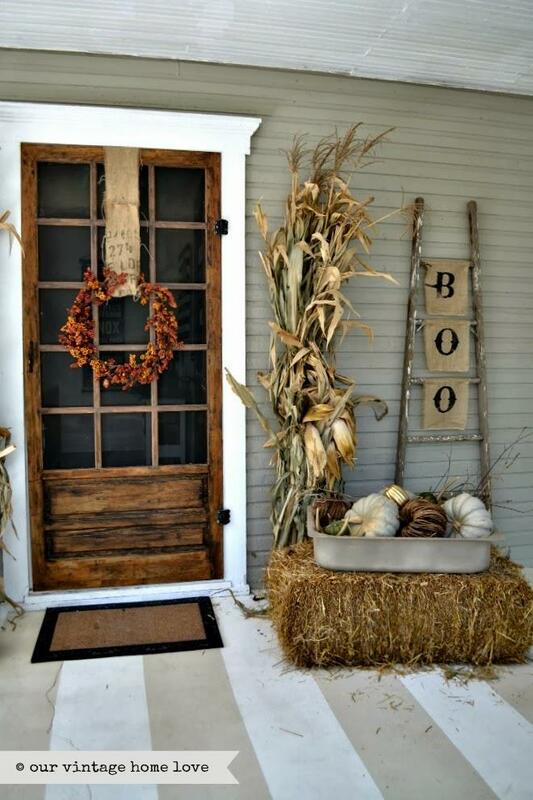 You can still use gourds, squash and pumpkins from a local farm or market to accent your entry. A welcoming front entry will make you thankful to come home. Autumn is a beautiful time of year with cooler days and beautiful foliage. The change in season is a perfect opportunity to hone in on your inner designer and create a memorable impression with your fall curb appeal! Discover more inspiration on our Pinterest board.